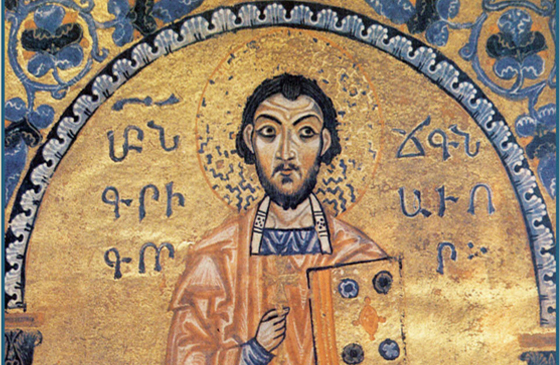 You may recall that Pope Francis, in February 2015, declared as a Doctor of the Church the sainted Armenian monk and poet, Gregory of Narek (950-c. 1005). He is only one of 36 by the Roman Church. Many wondered about the person of Gregory and his importance in the Church today. Being declared a Doctor of the Church is one of the most singular distinctions that the Supreme Pontiff could give to one of the saints, but way this monk and poet of the Armenian Church, and why now? Why is this gesture of Pope Francis a key event? In Michael LaCivita’s article, “Cries from the Heart: Armenia’s Poet of the Soul” gives a fine introduction to this Doctor of the Church. Today is the feast of Saint Sharbel Makhlouf, the great Lebanese Saint (1828-1898). 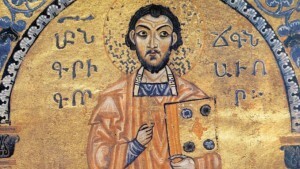 He is the first Lebanese Ssaint to be canonized formally by the Church of Rome. Most of Sharable’s life was marked chaos in the world, in particular with the Ottoman empire. The war destroyed 40 Lebanese villages and killed over 22,000 Maronites in Lebanon and Cyprus. The monastic life of Sharbel was that of being a hermit: a life of penance, prayer and supplication before the Lord. His reputation spoke of him as a Miracle Worker of the East. He is an apostle of peace. 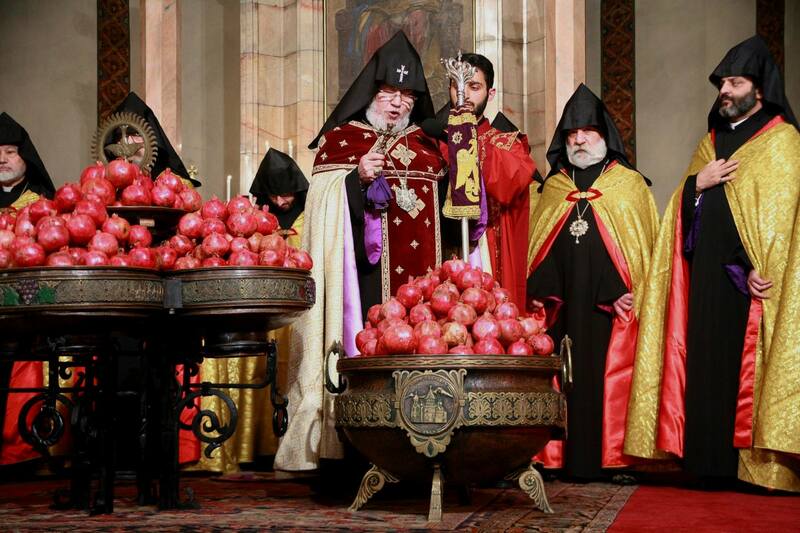 The Catholic Church has a new Doctor –an Armenian saint —Saint Gregory of Narek. Saint Gregory of Narek’s feast day in the Armenian Church is October 13. 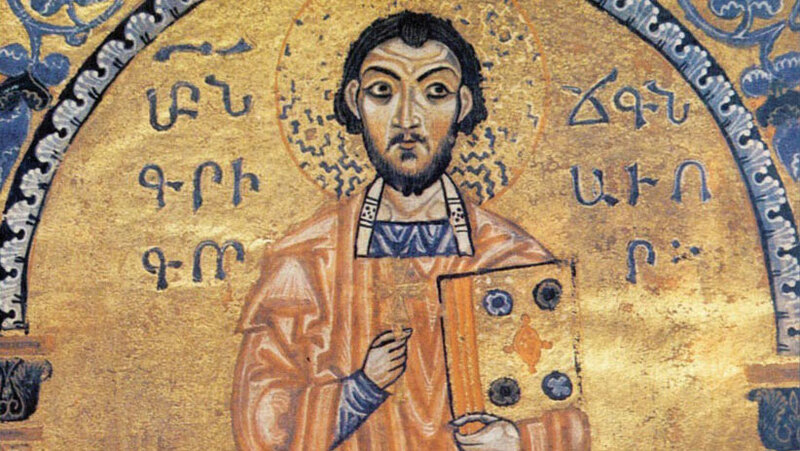 You will note that Saint Gregory, a monk in the Armenian Church, lived at a time when his Church was not formally in communion with Rome and Constantinople. Christian history can be complex to understand. The Vatican Radio report is here. 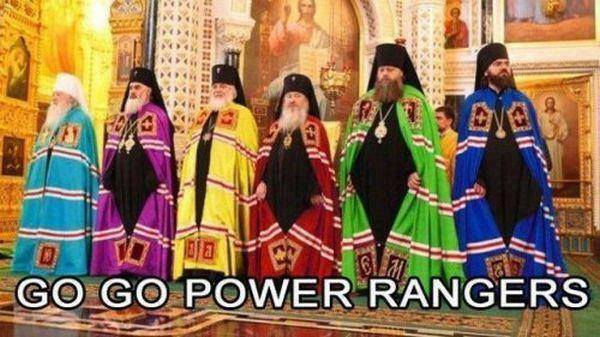 This is a rather unfortunate photograph of some Russian Orthodox bishops. While I am confident that they have no idea of the cultural critique, it is funny as hell. Here is a unique Christian tradition with the 2015 Blessing of pomegranates by His Holiness, Karekin II, Catholicos of All Armenians in the Mother See of Holy Etchmiadzin. It is a tradition on New Year’s Eve (or day). The custom of blessing fruits was known among the Israelites; the Jewish custom originated in that the first harvest was offered to the temple: harvest gifts included wheat, barley, grapes, figs, pomegranates, olives and honey. Pomegranates are considered by many faith traditions to be the fruit of the tree of knowledge and they are also a symbol of plenty and life. Armenia accepted Christianity as its official religion in AD 301.